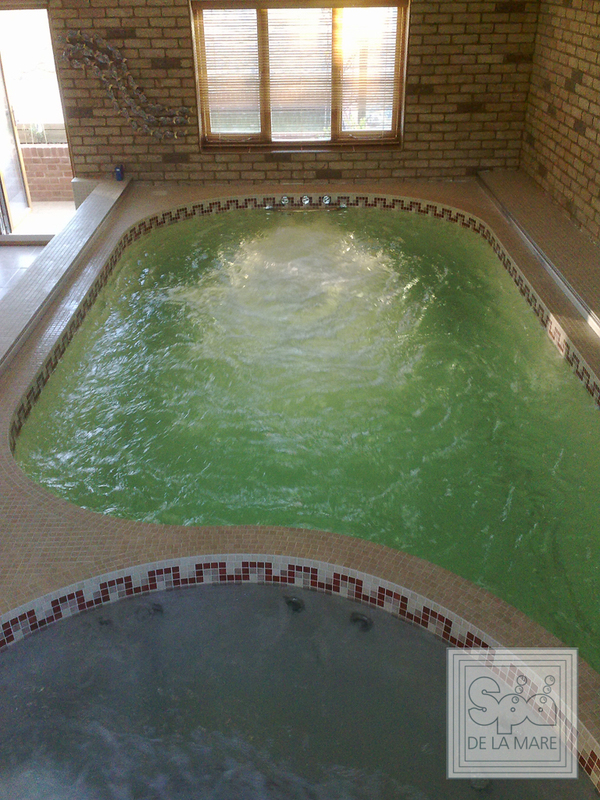 For centuries people have been using hydrotherapy and swimming to improve health and well being, whether it’s visiting natural thermal spas and pools or modern spa facilities. 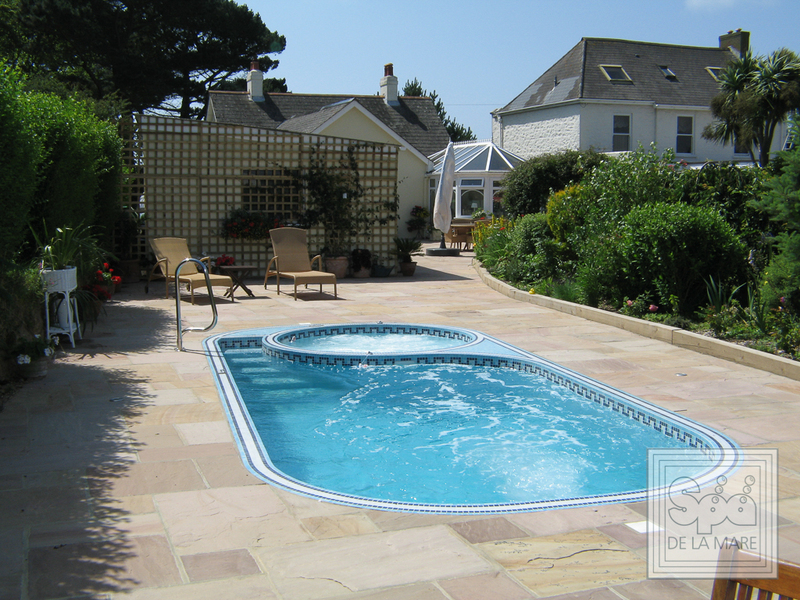 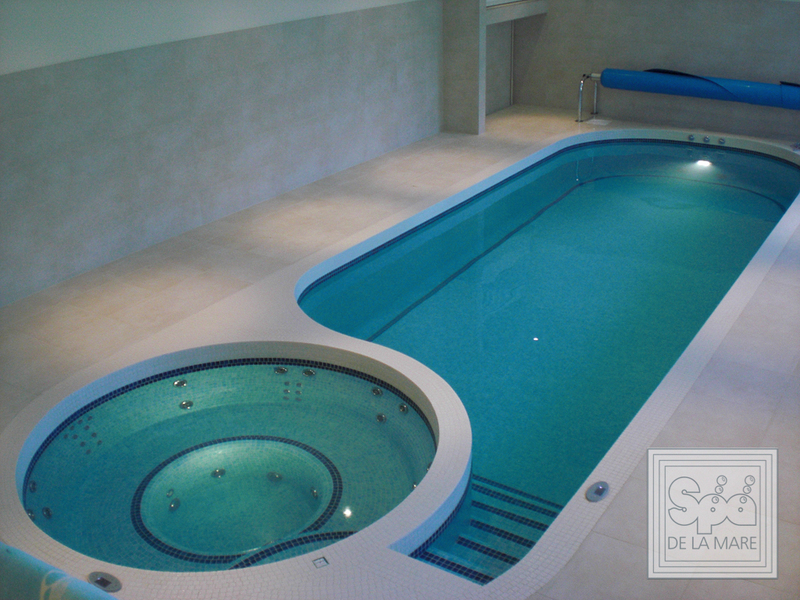 However, you can have the convenience and all the health benefits associated with swimming and hydrotherapy in the comfort of your own home with a Swim spa from Spa De La Mare. 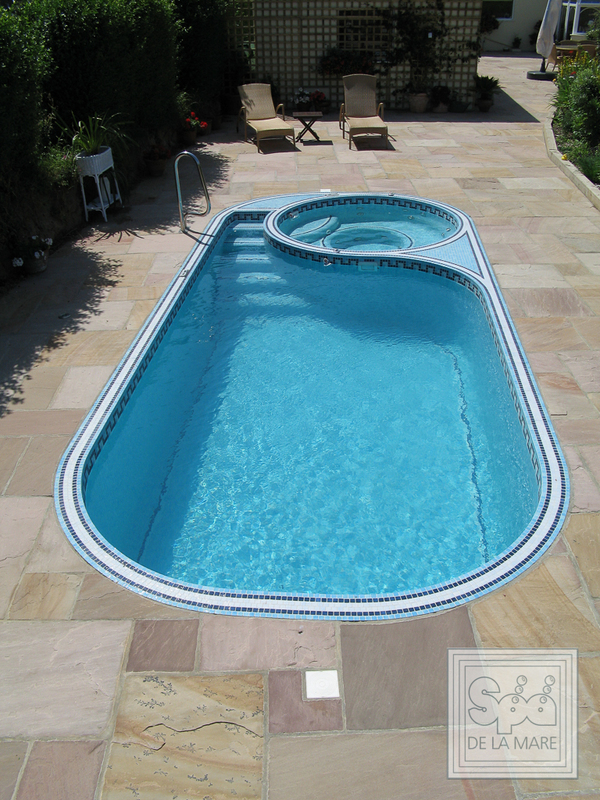 Using the latest advances in technology and years of expertise in the spa and swimming pool industry, we have created the Cleopatra Swim spa range, which offers an energy efficient and affordable alternative to a traditional swimming pool with an integrated hydrotherapy spa. 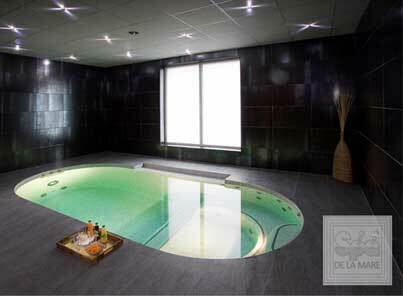 Part of this stunning collection of high-end Swim spas is the Cleopatra V, which offers a flexible swimming pool and spa experience with separate swimming and hydrotherapy areas. 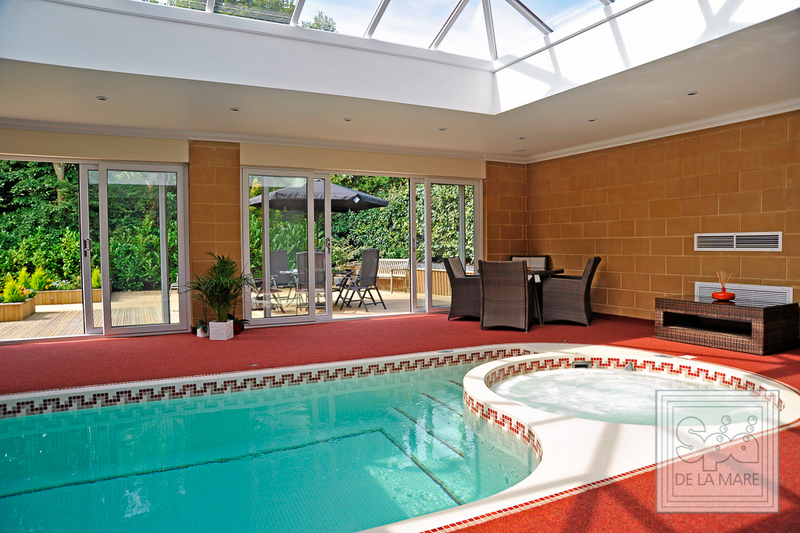 The Cleopatra V can be easily installed by our team of experts indoors or outdoors, depending on your personal preference, to transform your home with a wonderful spa area. 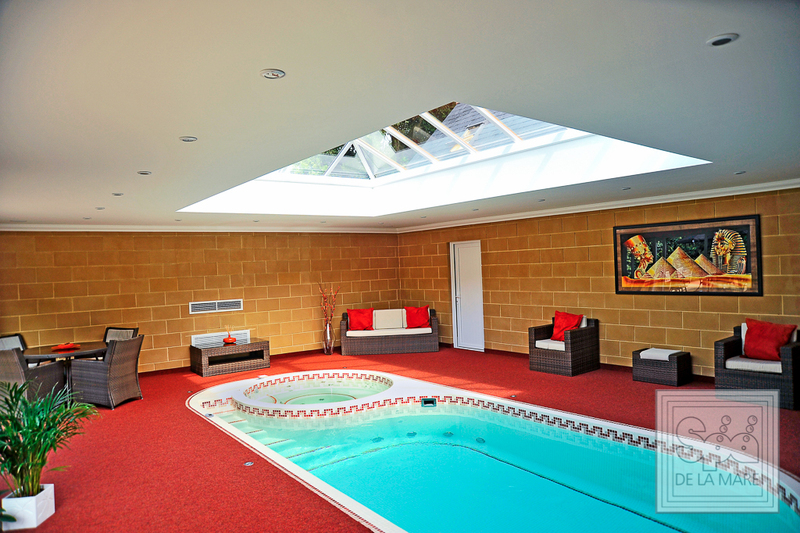 Part of this stunning collection of high-end Swim spas is the Cleopatra V, which offers a flexible swimming pool and spa experience with separate swimming and hydrotherapy areas. 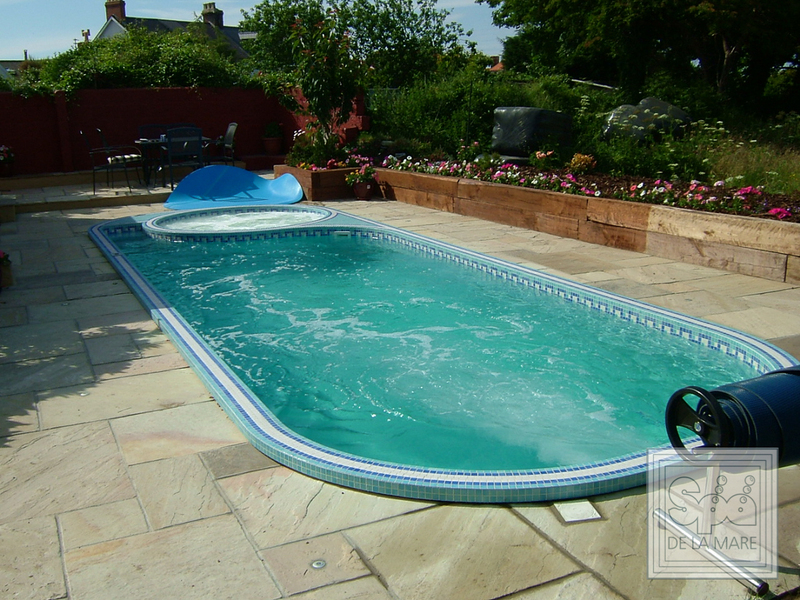 The Cleopatra V can be easily installed by our team of experts indoors or outdoors, depending on your personal preference, to transform your home with a wonderful spa area. 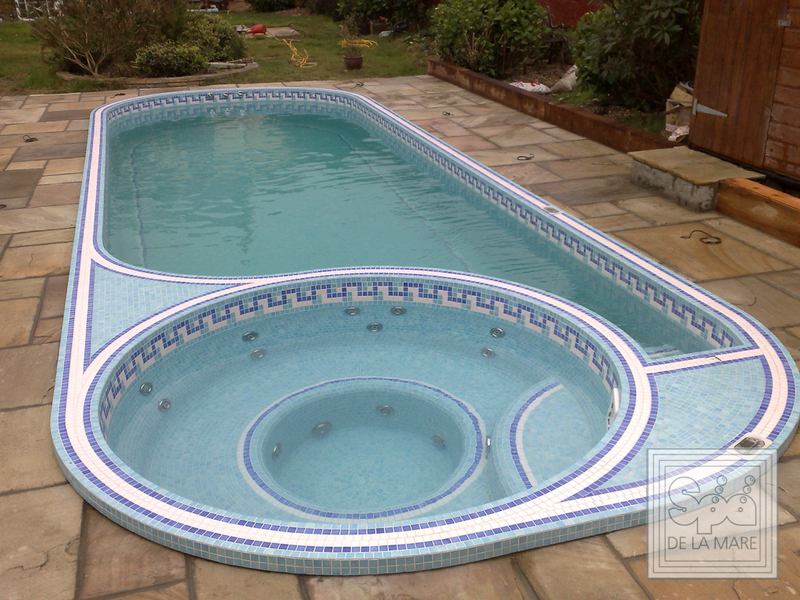 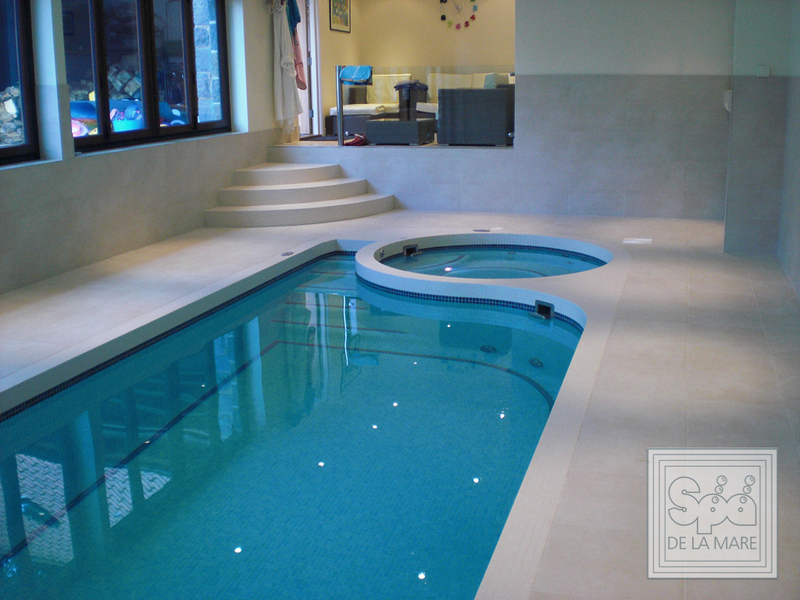 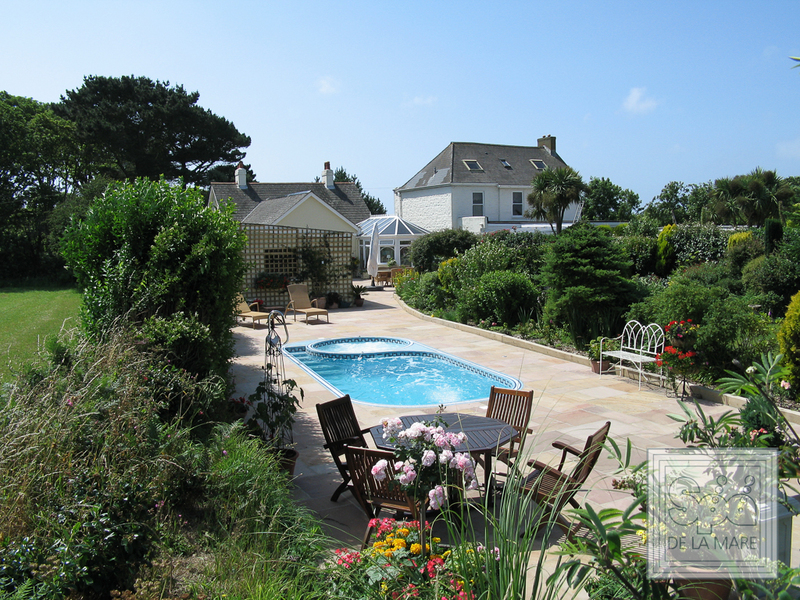 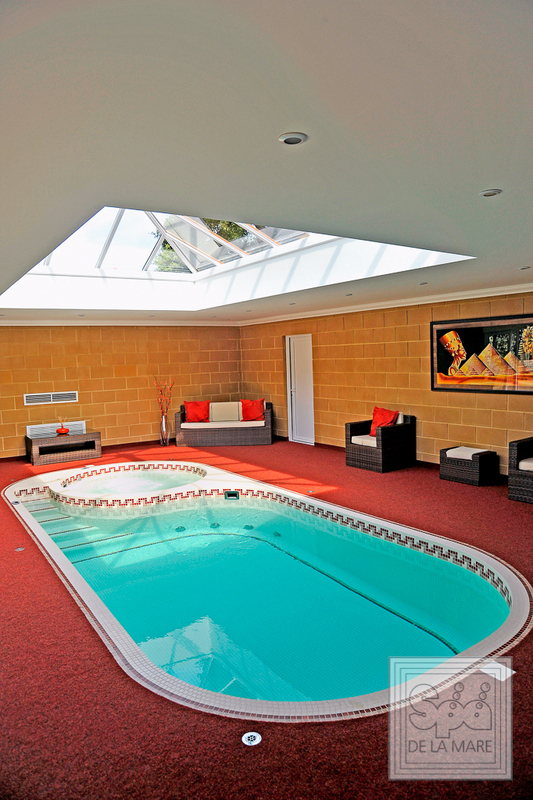 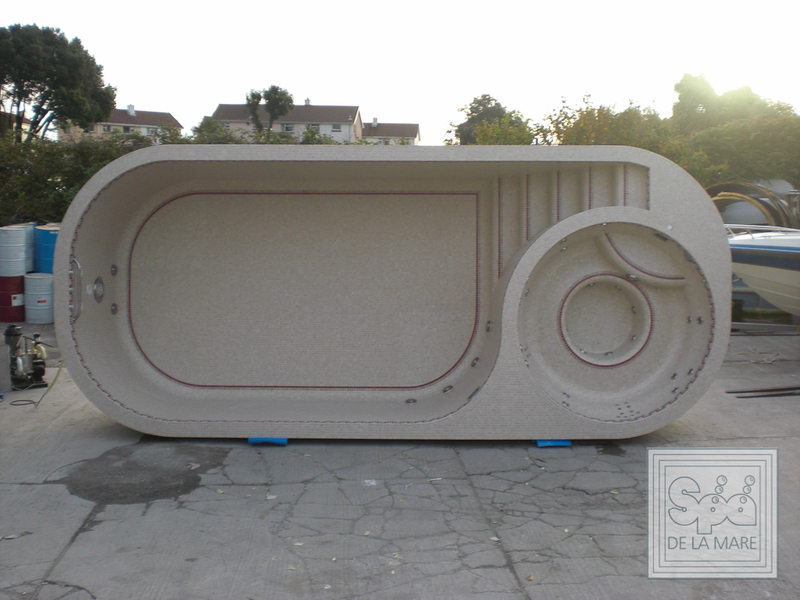 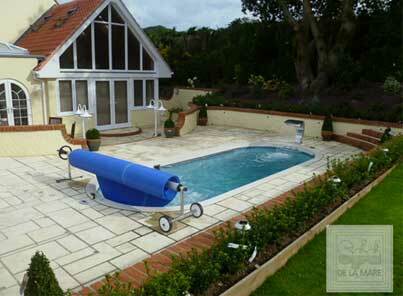 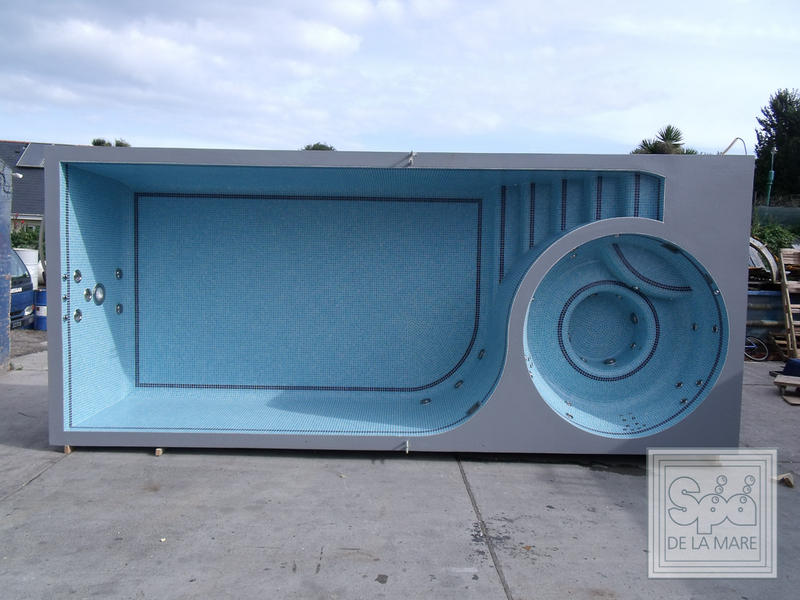 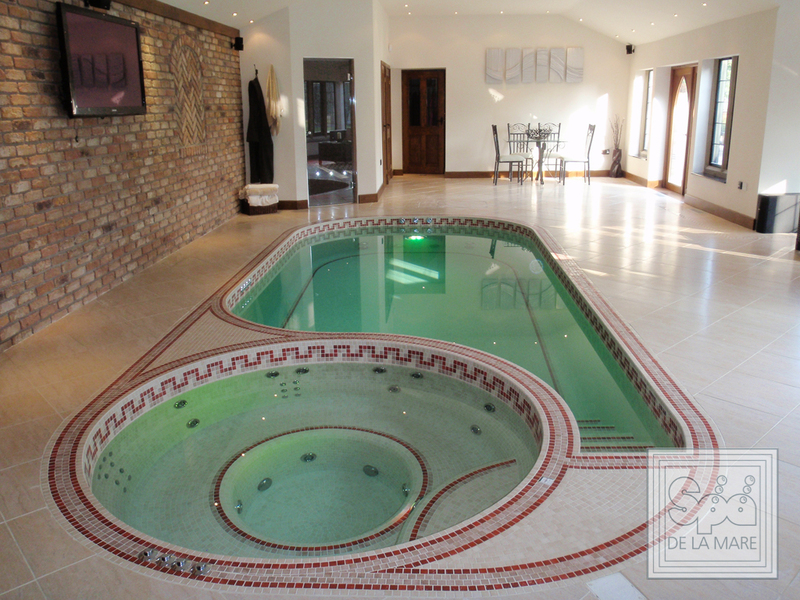 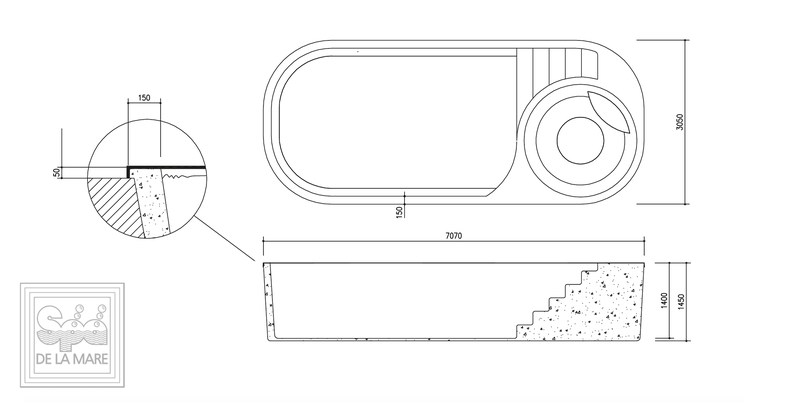 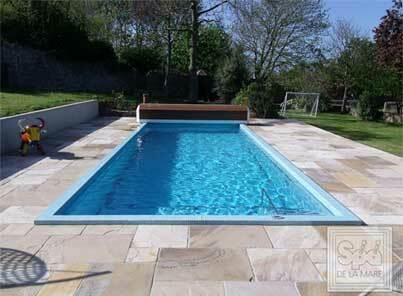 It is a beautifully sculptured dual temperature pool that allows you to enjoy the benefits of each area individually. 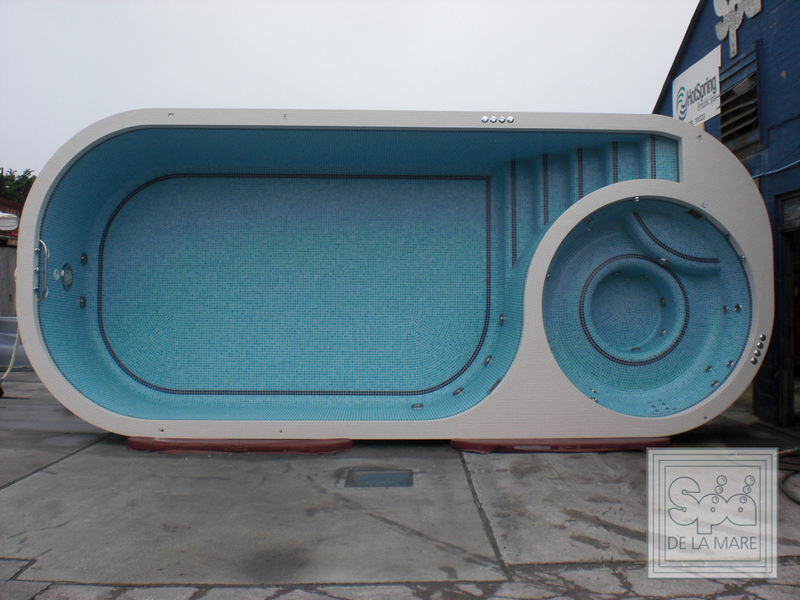 The design features a generous sized, round multi-jet hydrotherapy massage spa pool, with a separate swimming pool with adjustable swim jets that can be activated to deliver a more intense swim workout. 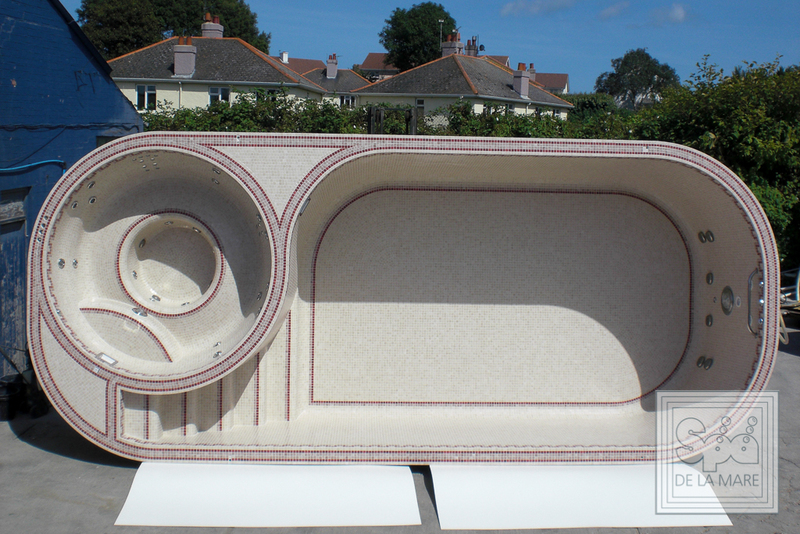 With the Cleopatra V you’ll find a high density full foam block construction used as the base, which offers exceptional support and heat retaining properties, to maximise the efficiency of heating and maintaining the temperature within the pool and hydrotherapy spa. 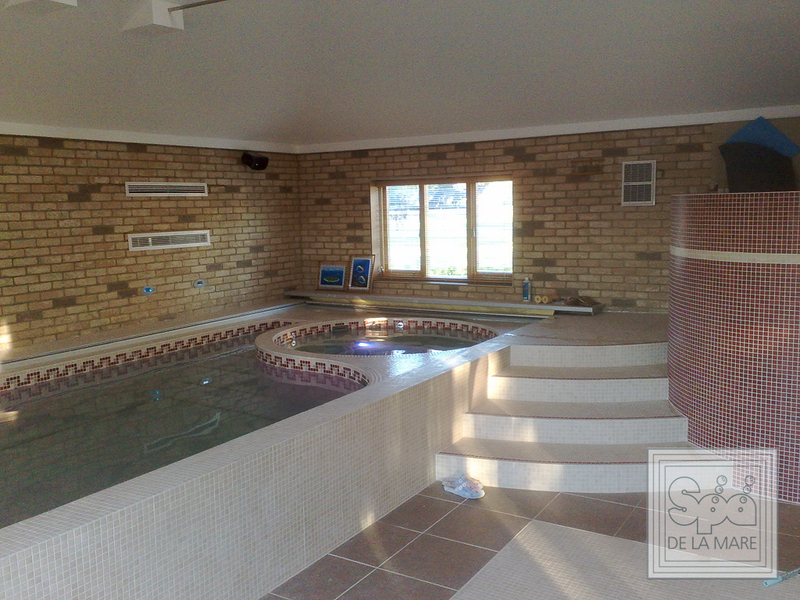 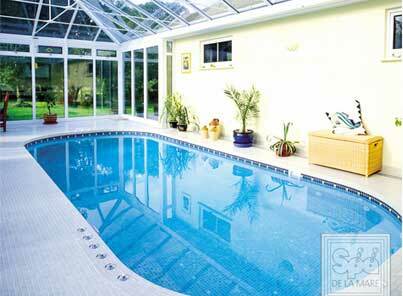 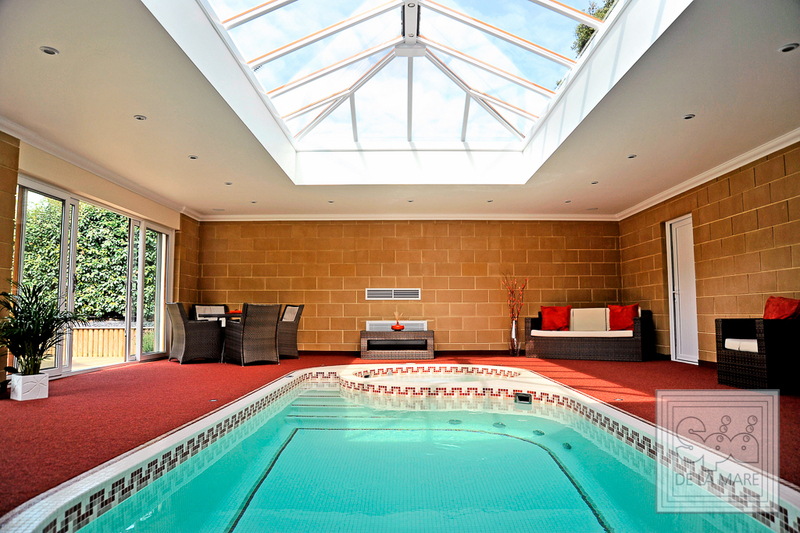 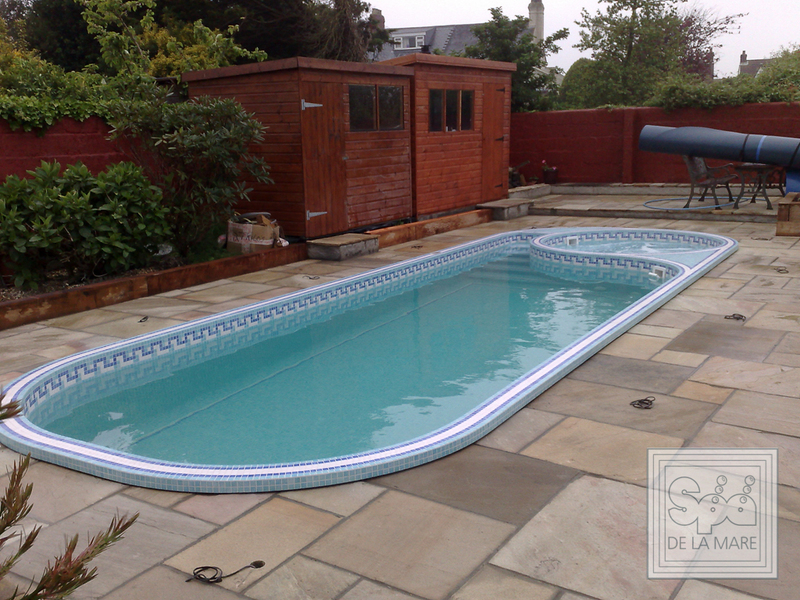 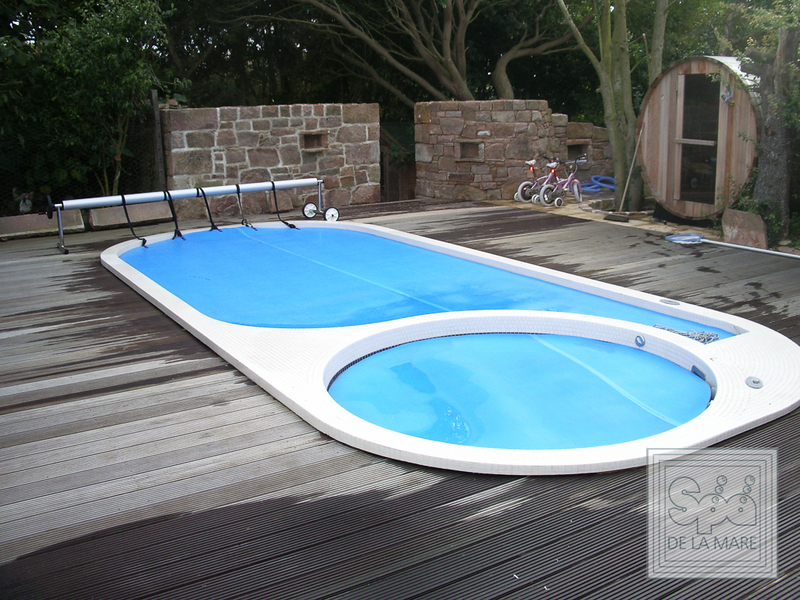 This Swim spa also comes equipped with a floating thermal cover and a digital control panel that allows you to keep the pool at the perfect temperature without using huge amounts of energy in the process. 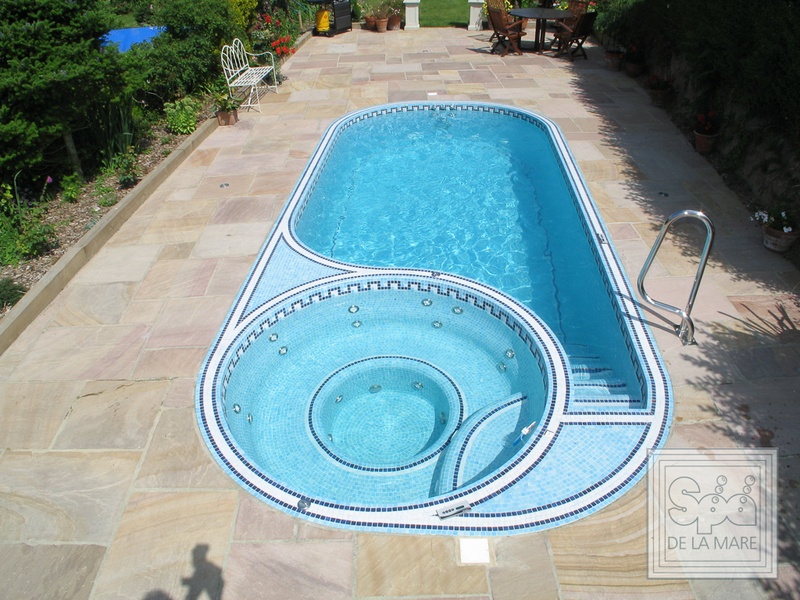 At Spa De La Mare, we fully appreciate that investing in a Swim spa is a significant outlay and with our products, we’ll ensure that you get great value for money as all our spas, including the Cleopatra V, are built to the highest standards to give a great finish and durability. 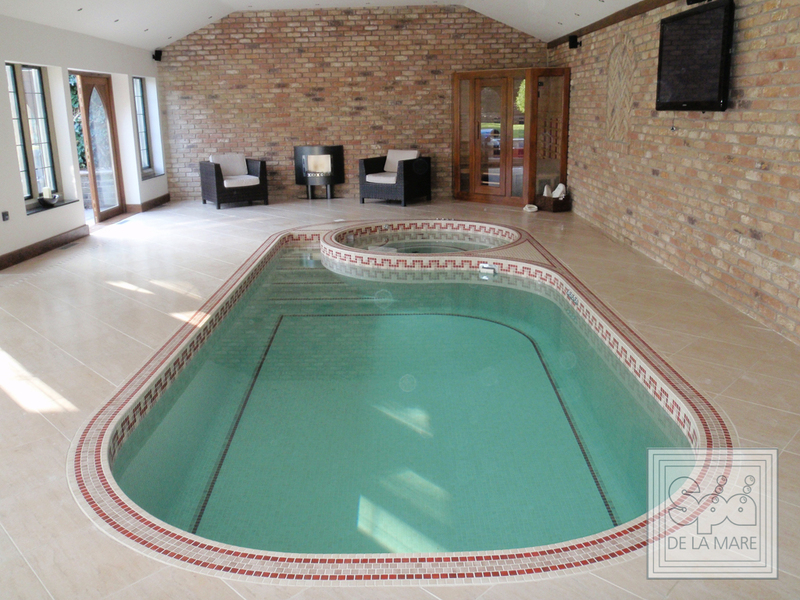 From the mosaic Émaux de Briare porcelain tiles to the state-of-the-art filtration system and highly insulated base, you’ll find exceptional quality throughout that is built to last and offer a user-friendly experience.